While I’m a firm believer that holiday dinners should feel at least a little bit fancy, my family has always taken the more comfortable, casual approach. My dad would usually make his way to the dinner table in sweatpants, and my mom could usually be found singing a silly song with a turkey hat on her head. I wouldn’t have it any other way. Now that I’m hosting Thanksgiving dinner in my own home, I’m excited to maintain my family’s silly traditions, but also have to add my own touch as an event designer! A few weeks ago I designed this tablescape for Friendors-Giving with exactly that in mind. I wanted the table design to feel special yet comfortable, authentic and achievable. With the help of Bloom 52 and Molly Grace Makes, I think we achieved just that! 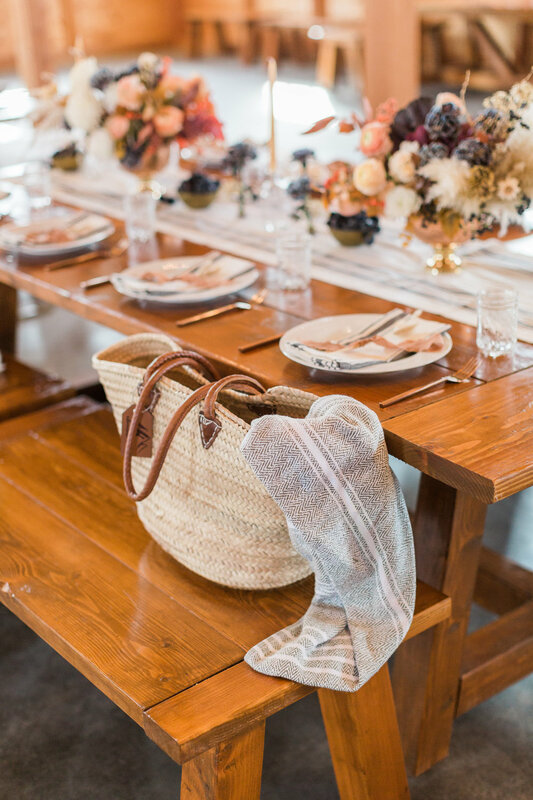 If you’re wrapping up the final touches of your own Thanksgiving dinner to make this year’s extra special, I’m sharing my top 3 tips for achieving a comfortably casual Thanksgiving tablescape. Enjoy! 1. Start with a neutral foundation. 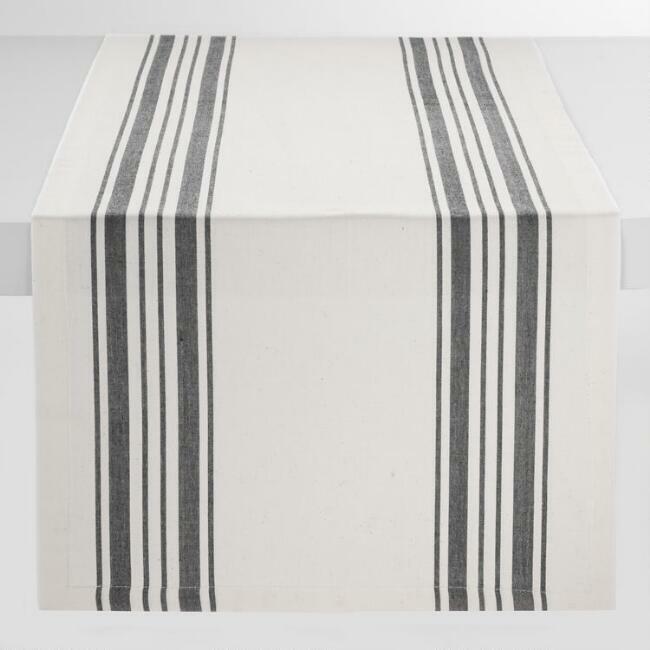 I feel strongly that either a wood table or plain white/cream tablecloth are the best places to start. It sets a neutral scene and allows you to bring in color with the food and florals! I kept place settings simple with white plates and clear glass so we could let the florals do all the talking. 2. Think outside the box. When you think of a fall color palette, you probably have burgundies and oranges in mind. Here, we kept those traditional tones subtle and brought in some unexpected blues in the linens and florals (those carnations are blowing my mind)! Keeping glass clear yet textured helped to let those colors pop. 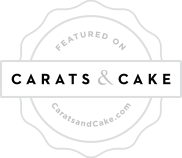 Place cards are another element you can get really creative with, and even better when they’re edible. Molly Grace Makes created hand-calligraphed tags for apple cider donuts from my favorite local farmstand, and we secured them with a brass brad for added visual interest. I love, love, love how they came out! One other way we thought a bit creatively was to use the small brass bowls (all 4 for $1 at a local antique store!) to hold pre-dinner treats like grapes and berries. This gave an abstract cornucopia-like effect that’s right on theme with the day! 3. Play with texture. 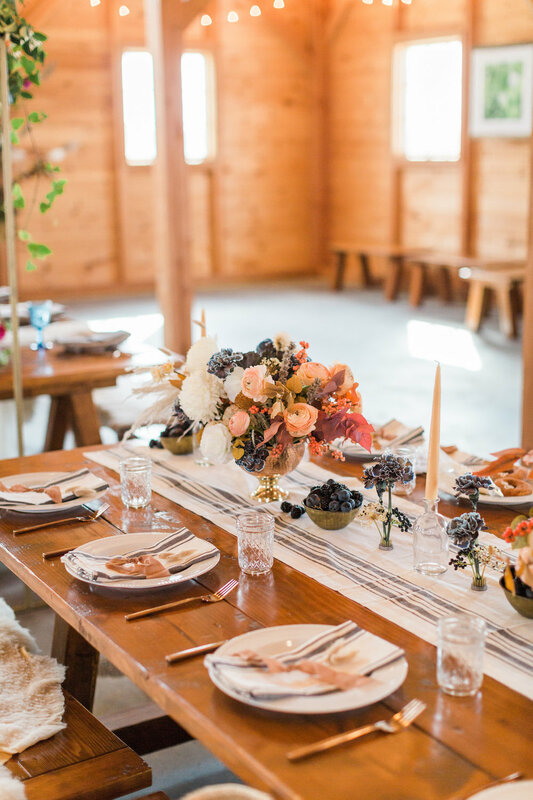 Between the textural florals, glass and brass elements, wood table, and soft silk ribbon tied around “bunnies” (I still can’t get over how cute these are), using fewer overall elements worked well because it meant that we didn’t have to completely fill our table with design items. More room for food when dinner’s ready! And there you have it! 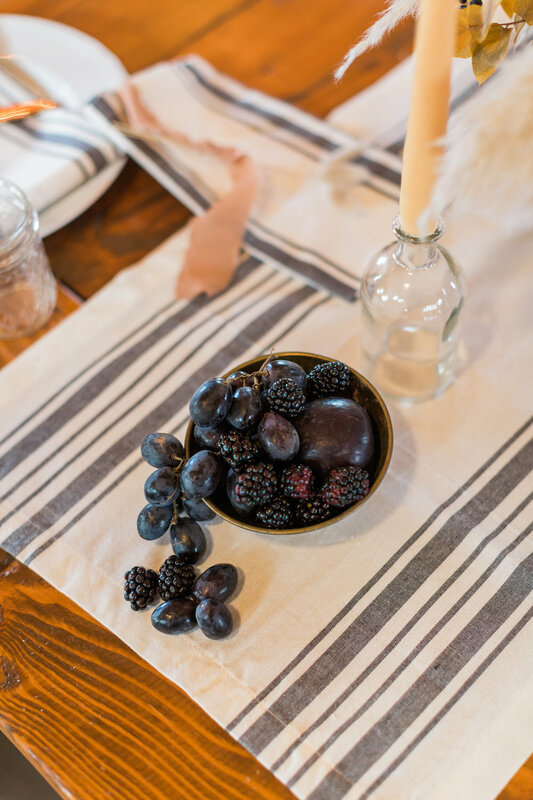 Ready to plan your own tablescape? You can see the full gallery from K. Engel Photography and shop the look below. 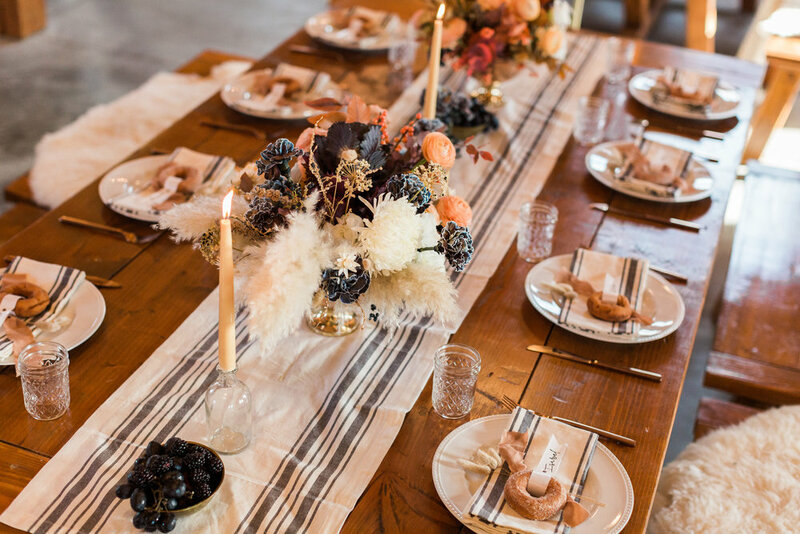 How are you decorating your Thanksgiving tablescape this year? Have a favorite recipe to share? Leave a comment - I can’t wait to hear!